I frequently cross this issue, and always have to google for an answer. Does anyone have a permanent fix for BADSIG errors from apt-get? 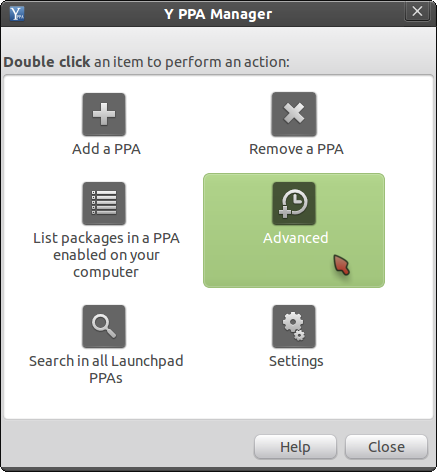 If the error occurs again (maybe after a few days/months), open Nautilus as root > navigate to var/lib/apt > delete the "lists.old" folder > then open the "lists" folder and delete the "partial" folder. Now, execute the aforementioned commands again. You'll have to enter your password, the key will be downloaded and integrated. How to fix GPG error for extras.ubuntu.com oneiric Release? 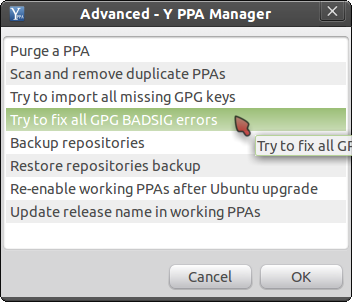 How to fix GPG error/BADSIG while running apt-get update?